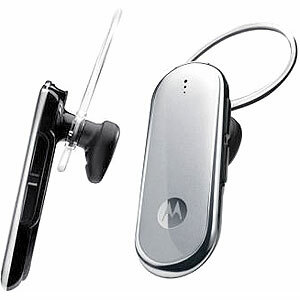 Compliment your style while taking crystal clear, hands-free calls with Motorola’s newest Bluetooth headset, the Motorola H790. This sleekly-designed accessory delivers an outstanding audio experience on a dual-microphone headset, and is as easy to use as it is to wear. H790 is designed to fit what you’re wearing and where you’re going. As Motorola’s thinnest dual-microphone headset, it strikes a balance between style, sensibility and awe-inspiring technology to get you noticed, in the right way. H790 delivers outstanding call quality using Motorola’s CrystalTalk technology, which suppresses background noise for pure-sounding calls, so you can hear and be heard even in noisy environments. Whether you’re performing tasks around the house, running errands, traveling or shopping, you’ll be able to carry on your conversation in clear call quality. Become a headset master in no time with audible voice prompts that instruct you on pairing the headset, checking battery life and connecting. Voice prompts alert you when mute is on or off to avoid confusion, and makes multiple phone pairing a breeze so you can take hands-free calls from both phones you carry to keep your life in order. With voice prompt battery life alerts you can be ready to go in minutes using Rapid Charge to generate 2.5 hours of power in just 15 minutes. It has been tested to work with more than 200 compatible Bluetooth enabled phones from more than 15 brands. Internationally it’s priced at $79.99. Locally it’s price may vary from Rs. 5600 to Rs. 6600. What is the price in local market?? My question is the same. What is the price of this device in Lahore. I was thinking of buying a bluetooth handsfree. May be I should give it a try.